This property offers family rooms, a restaurant and free WiFi. 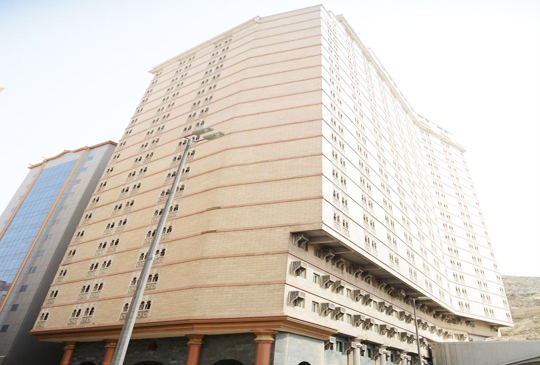 Located in the Ajyad district of Makkah, Wahet Al Deafah Hotel is 600 m from Safwah tower and an 8-minute walk from Abraj Al Bait. This property is set a short distance from attractions such as Masjid Al Haram, Zamzam Well, and Abraj Al Bait Mall. The accommodation features a 24-hour front desk.The rooms at the hotel are fitted with a seating area and a flat-screen TV. The rooms have a private bathroom with a shower, while selected rooms will provide you with a kitchenette with a fridge. Guest rooms at Wahet Al Deafah Hotel have air conditioning and a wardrobe.Um AlQura University is 3.7 km from the accommodation. The nearest airport is Ta’if Regional Airport, 74 km from the property.We speak your language!